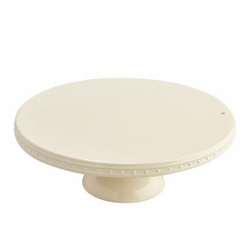 This lovely white pedestal will display any number of baked goodies! 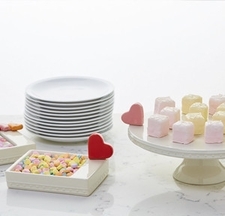 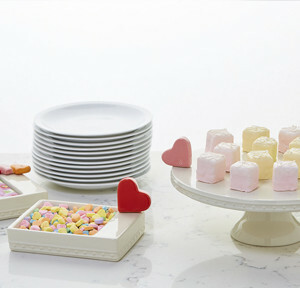 Add some height to your tablescape and embellish with your favorite mini! 12"dx4 1/2"h.